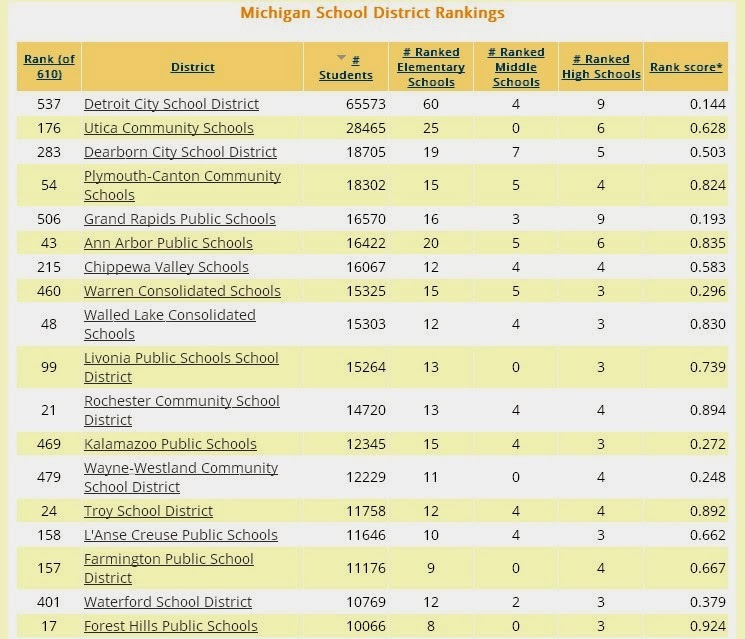 Below is an incomplete list of Michigan's school districts starting with the largest district, Diderot, plus the next 17 largest districts by number of students. The next largest district is Utica and it is 43% the size of Detroit. This information was extracted from reports created by schooldigger.com.